UPDATE: On June 6, 2018, Clutchette was released from prison after Gov. Jerry Brown declined to rescind his grant of parole. Here are some of his first words upon walking free. “When I found out that students would have an opportunity to advocate on a ‘live’ case from California, I jumped at the opportunity,” Ryan Thompson says when asked why he signed up for the “Law and Minorities” class at Southern University Law Center in Baton Rouge, Louisiana. The class investigates real cases that are still active, he says, and he especially liked that the case would be from California, where he had lived for 20 years. The focus would be on legal, racial and social justice controversies involving minorities, indigenous groups and other vulnerable populations in the United States. And of all the cases to choose from, the story of John Clutchette interested Thompson the most. Clutchette, now 74, was a controversial figure in Monterey County in the early 1970s. Back then he was implicated in the murder of a correctional officer in Soledad Prison and became known as one of the “Soledad Brothers.” He was acquitted, but a few years later returned to prison accused of another murder, which he insists he did not commit. 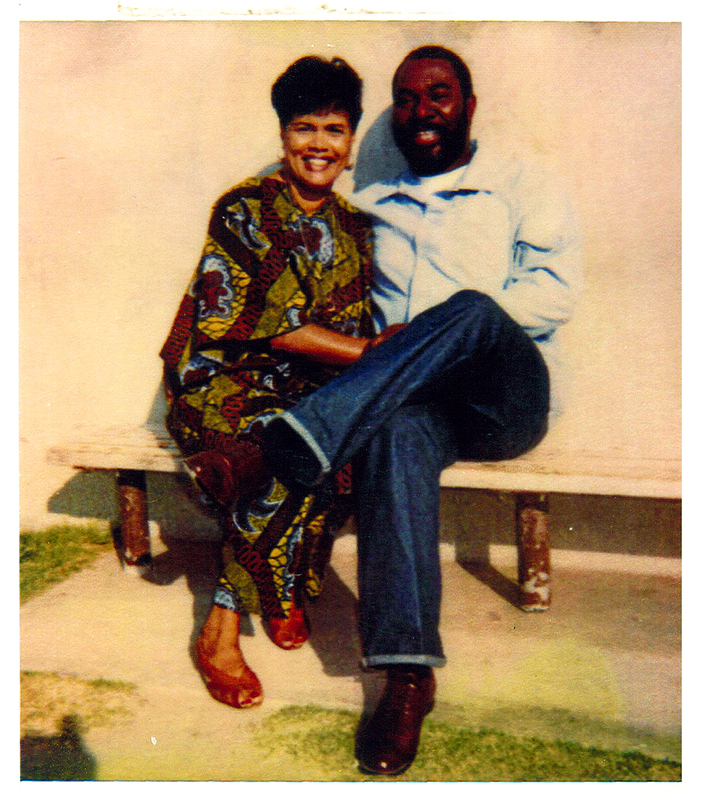 When the students of the Law and Minorities class dug into his case, they not only came up with findings to support his case for parole, but also found that FBI files indicated he was neither a militant nor a leader of the Black Guerrila Family prison gang in the 1970s. Clutchette, who is currently incarcerated in Solano State Prison in Vacaville, was granted parole on January 12 by California’s Board of Parole Hearings. But that decision must be affirmed or rescinded by Gov. Jerry Brown. Clutchette was also granted parole in 2003, 2015 and 2016, and all three times the governor reversed the decision. “When I read his case I cried, I cussed and it ignited me to action,” says Chandra Johnson, another member of the class. Law and Minorities is an elective. Students enroll for all kinds of reasons. Johnson says she wanted to break up her routine of traditional law classes. Thompson had listened to the instructor and decided he wanted to study under her. With Danielle Bickham and Brandon Kenny, the students voluntarily formed an investigative group. They all knew each other, but this was the first time they’d ever worked together. They were allowed to propose their own subjects or pick one from a class list. “Clutchette’s case has all the elements of the civil rights era. He was an average guy who got associated with a political ideology and has paid the ultimate price — the loss of the enjoyment of his life,” says Chandra. Clutchette was born in Houston, Texas, in 1943. He grew up in Compton, the oldest son of a single mother. Home was a hostile environment thanks to his mother’s abusive boyfriends. He learned to use violence to defend his mother and siblings, his attorney Keith Whattley wrote in a habeas corpus petition to California’s Supreme Court (it’s still awaiting a response). At 16, Clutchette left home for the streets. He smoked pot, and later, at age 25, used cocaine. He used drugs to dull the pain of his memories and to help him relax, feel more secure and outgoing, his lawyer said in the petition. He was convicted of a second-degree burglary in 1966. He was in prison for six years and paroled in 1972. In 1975, he was off parole, and during those three years he’d attended community college, become an apprentice and was employed as a metalworker. But it was before this, in early 1970, that his life took a fundamental twist when he was locked up at the Correctional Training Facility in Soledad. He was assigned to the “Y” wing, where he met the late George Jackson, who was an intellectual and respected prisoner, member of the Black Panther Party and a co-founder of the Black Guerilla Family. At the time, these were both revolutionary groups fighting for African-American prisoners’ rights. 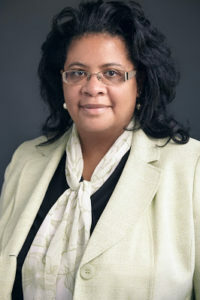 “There were documented racial problems inside the facility, as well as allegations of excessive force and other abuses on the part of correctional officers,” says Professor Angela A. Allen-Bell, who led the investigative project and is known in the U.S. as a social justice and civil rights leader. In what has been described as an act of retaliation, white correctional officer John Mills was killed in January 1970. George Jackson, John Clutchette and Fleeta Drumgo were accused of his murder and charged by Monterey County the next month. 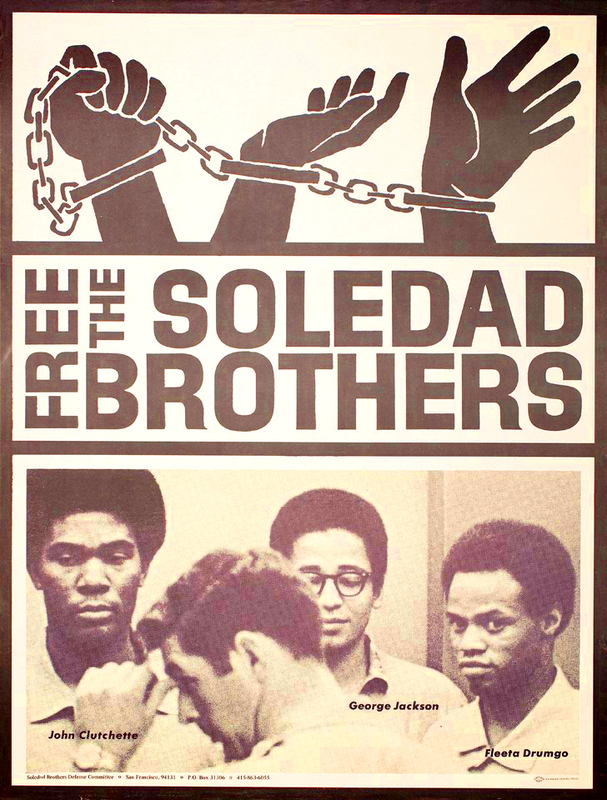 The three became known as The Soledad Brothers. 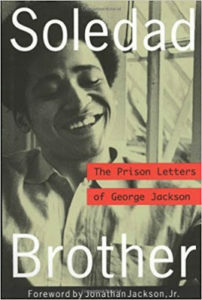 George Jackson published his book “Soledad Brother” that year, decrying the conditions prisoners faced. It brought on opposition that came from far beyond the prison gates, Allen-Belll says. In August of the same year. George’s younger brother, Jonathan Jackson, 17, provided arms to three prisoners in the Marin County Courthouse. The plan was to flee with five hostages, including the judge and prosecutor, with the aim of negotiating freedom for the Soledad Brothers. As they tried to escape, Jonathan, the judge and the three prisoners were killed. One year later, in August of 1971, George Jackson was killed by prison guards in an armed uprising at San Quentin. In February 1972, John Clutchette was acquitted in the murder of correctional officer Mills by an all-white jury. “None of the ‘Soledad Brothers’ were found guilty of the murder of Officer Mills. Also noteworthy is the fact that John Clutchette was not charged or convicted in the 1970 Marion County Courthouse matter that was onset by Jonathan Jackson, nor was he charged or convicted in the 1971 (San Quentin) incident that resulted in the death of George Jackson,” Allen-Bell says. Charged with the death of a man named Robert Bowles, Clutchette was arrested in 1978. Bowles’ body was found in a parked car, with two shots to the head, Allen-Bell says. At the time, Clutchette was using drugs and involved in a heroin trafficking operation, despite working full-time. Clutchette, Bowles and Dawn Paulson were traveling to Sacramento to pick up a supply of heroin when Bowles was killed. Clutchette was released for lack of evidence. But in 1980, he was re-arrested and sent to prison for murder. “Despite his testimony that he only participated in the cover-up of the murder, he was convicted of first degree murder. An indeterminate sentence of seven years to life was imposed. Two additional years were added for use of a weapon,” Allen-Bell says. Clutchette has been in prison since 1980. He wrote a “heartfelt letter” to the Bowles family, Allen-Bell says, expressing his apology and remorse and explaining that he had matured through his rehabilitative process. Clutchette is a father and a grandfather from several marriages. On March 24, he will be 74 years old. When Gov. Jerry Brown reversed Clutchette’s grant of parole in 2016, he recognized the efforts Clutchette had made to improve himself while in prison. Nonetheless, he said that fact was “outweighed by negative factors that demonstrate he remains unsuitable for parole.” Brown cited, among things, the Soledad prison guard’s murder, despite Clutchette’s acquittal, which the governor acknowledged. He also noted that Clutchette had renounced involvement in prison gangs. Finally, Brown wrote that he believed Clutchette had not been fully truthful about violence in his past. Clutchette still says he was never a BFG member, according to a letter he sent to the San Francisco Bay View newspaper. A 1976 illustration by Black Panther Party "Minister of Culture" Emory Douglas. To thoroughly investigate the case, the group of students and their professor dug through declassified FBI files, numerous California Supreme Court cases, news clippings, books and interviews. “It would have been ideal to be able to research in the courthouse where the records were contained, but technology made it work,” says student Chandra Johnson, referring to one of the greatest challenges the students faced. The process of corroborating information was also exhaustive. Each new fact was scrutinized in detail, the students say. “We don’t rely on anything that we can’t independently verify and we don’t believe words merely because they appear on paper. We cross reference and fact check and debate quite a bit,” Allen-Bell says. As a final product of their work, the students submitted a complaint to the special procedures division of the United Nations’ High Commission on Human Rights. Allen-Bell says the U.N. division can intervene directly with governments on allegations of violations of human rights or provide persuasive recommendations for change. In 1997, a state appeals court stated that Clutchette’s file contained false information. Prolonging Clutchette’s incarceration constitutes a violation of his human rights, Allen-Bell says. 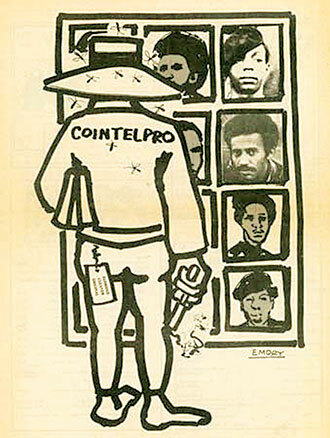 Adding to the historical context, in the 1970s the FBI instituted its counterintelligence program, COINTELPRO, which covertly collected information and undertook secret actions with the aim of “interrupting” and “neutralizing” certain groups and individuals, one of whom was George Jackson. “Mr. Clutchette has experienced what many COINTELPRO victims have just because of his close contact on a tier with a target of COINTELPRO,” Allen-Bell says. In addition, the investigation found a “shift in tone” in Clutchette’s prison records after the death of Mills in 1970. “Before the murder of the guard, those records never assign any BGF affiliation to Mr. Clutchette. Additionally, those records all describe John Clutchette favorably . . . Interestingly, there is a very different narrative in the records after the guard’s murder,” says Allen-Bell. Record of the San Quentin escape attempt in 1971 were also eye-opening for the investigators. Finally, she says, many of Clutchette’s prison records have proven to be unreliable. In 1997, a state appeals court stated that Clutchette’s file contained false information. Allen-Bell says much of the information was never verified or validated. And, she says, “This same court urged California officials to correct Mr. Clutchette’s records,” but they never did. Tensions around the Soledad Brothers ran high in the 70s, and the case still raises hackles in some circles, she says. During their investigation, the students also learned how Clutchette has used his time in custody to grow as a person, including records stating he has lived successfully with other prisoners and served as a mentor for the youngest ones, and that he has participated in substance abuse programs and treatment groups. Allen-Bell says he’s maintained a good behavior record. “His last disciplinary infraction was in 2008, and it was the result of refusing to share his cell with a validated BGF member,” she said. “California’s standards governing eligibility of parole board commissioners are high,” Allen-Bell says. “Such a highly distinguished Board thoroughly reviewed Mr. Clutchette’s prison record and determined some of the salacious contents not worthy of their use. In defense of Gov. Brown’s stance, Attorney General Xavier Becerra in December filed a request to keep under seal the records Brown used in making his 2016 decision to reverse Clutchette’s parole grant, in order to protect sources and “institutional security,” the filing stated. Under California law, the governor has the authority to reverse or modify parole decisions based on whether the prisoner represents a current threat to public safety. Based on this, Brown will soon decide on Clutchette’s most recent parole grant. The students’ project officially ended in late spring of 2017. Nevertheless, they’ve remained involved and new students have gotten involved. Among them is Theresa Dorcelus, who is continuing the work this semester. Her focus is on forging alliances with human rights groups in and outside of the U.S., in addition to trying to correct the historical record regarding Clutchette. Once a case has been thoroughly investigated in the class, Allen-Bell says the students will apply Restorative Justice principles. “Under this model of justice, victims, offenders and the community are joint stakeholders in the healing process,” says Allen-Bell. Gov. Brown will decide in coming months if he will reverse Clutchette’s parole decision once more or let it stand.